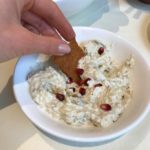 I eat three meals a day and do snack in between if I fancy something – I don’t tell my clients not to snack ……..it is what they snack on that really matters. Food should be medicine and fuel for the body. Give it healthy nutrient dense food and our dynamic body will thank us by working to its best capacity and keep us free from disease. 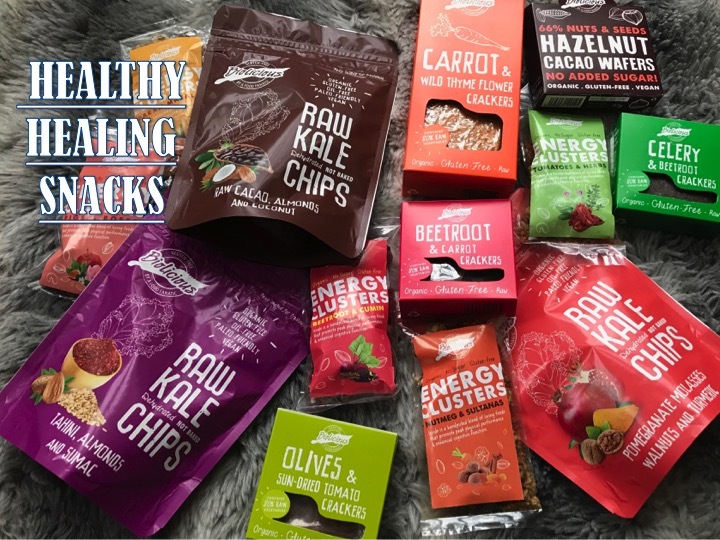 Finding super healthy ingredients in snacks that actually taste good with complimentary flavours and not loaded with sugar has always been tricky. 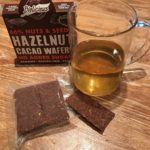 There are a wealth of bars on the market with nuts and seeds packed into them claiming to be ‘Healthy’ but very few have ACTIVATED nuts and seeds. This is what everyone should be looking for on labels – it means that the nuts and seeds have been soaked in water and salt for a period of time which starts off the germination or sprouting process, then DEHYDRATED at a low temperature. The salt acts to awaken enzymes that are then able to break down and neutralise enzyme inhibitors. 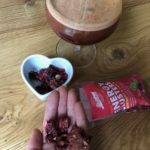 Soaking the nuts and seeds deactivates the enzyme inhibitors that prevent them from sprouting, as well as removes any toxic phytic acid present that helps enhance their digestibility. DEHYDRATING at 41 degree Celsius preserves the highest level of nutrients, maintains water-soluble vitamins and minerals along with the food’s natural enzymes. So this is a ‘Buzz’-word you should be looking for on labels. 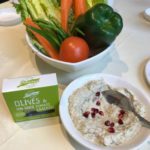 When I came across ‘BIOLICIOUS a unique Lebanese brand with a range of delicious, certified organic, wholesome and healthy, gluten-free foods’ I was super excited. 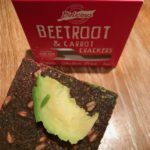 They use activation and dehydration producing nutrient dense snacks with maximum flavor and richness. 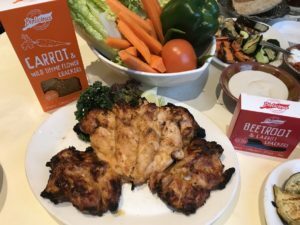 They also use other healing spices and foods, which I am a huge fun of – such as gut loving apple cider vinegar and anti inflammatory turmeric. Perfect on Paper but will they taste as good as they sound?! 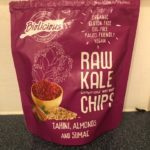 The BIOLICIUS range includes Raw Kale Chips, Vegetable Crackers, Wafers & Energy Clusters. Crunchy with a tangy sour taste from the apple cider vinegar and Pomegranate molasses these kale chips are quite unique. They have an exotic Middle Eastern flavor that lingers and culminates with the hint of sweet paprika. The activated walnuts are high in Omega 3’s, the apple cider vinegar regulates blood sugar and boosts gut health then the turmeric and garlic powder lowers blood pressure and are anti-inflammatory. Wonderful healing properties, which are added bonuses to these tarty chips. 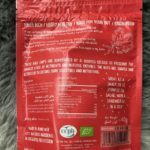 These are the only product in the Biolicious range to have any form of sugar added – here it is Coconut Sugar – which if you read my website you will know I do not mind eating in small amounts. Despite this they still are not so sweet – more balanced, savory, with the freshness of the ginger coming through. Quite addictive I have to say! The cinnamon and ginger spices are anti-inflammatory, lower blood sugar, boost immunity and stimulate the lymphatic system. The activated almonds provide good fat, protein, fiber along with lots of Vitamin E, copper, magnesium helping to lower cholesterol levels. Raw cacao contains up to four times the antioxidants of traditional cacao powder, and having the highest antioxidant value of all the natural foods in the world so……I think I’ll have another bag or two! I adore anything with tahini, maybe from my youth spent in the Middle East. These kale chips really take me back with a creamy savory taste and a tangy lemon after-bite from the sumac…almost like a vinegar. A little of these chips goes a long way. Tahini is soo good for you – It’s rich in minerals such as phosphorus, lecithin, magnesium, potassium and iron. It’s high in vitamin E and vitamins B1, B2, B3, B5 and B15. It’s a good source of Methionine, which aids in liver detoxification and is one of the best sources of calcium out there. The antioxidant value of sumac spice used in these is phenomenal. Plus its anti-fungal, anti-microbial, antioxidant and anti-inflammatory. 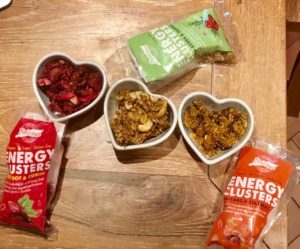 Coming in two sized boxes – 24g and 104g, colourful and well labelled I ADORE these crackers! They have at least 80% vegetable composition making getting your ‘5 a day’ super easy and yummy to do! I’m a massive veggie fan and to have a snack I can grab on the go packed full of vegetable goodness is the best news. The remaining 20% are herbs, spices and seeds….all activated again to improve their digestibility. Having food intolerances myself, as do a majority of my clients, these crackers cover all bases! The USPs of these goodies are hence extraordinary!…. I’m sorry but they sound too good to be true – proof is in the tasting? Naturally these crackers are in an orange box and have the natural deep orange hue from the main ingredients of the carrots. Carrots are one of my favourite vegetables having them everyday in some form – either juiced in the morning, roasted or steamed for dinner. They are a great source of Antioxidants (Especially Beta Carotene), which can be converted into vitamin A in the body to help maintain healthy skin, eyes, heart and eyes. Carrots also increase saliva and supply essential minerals, vitamins and enzymes that aid in digestion. The flax and sesame seeds are also gut loving and balance hormones. As if all this was not enough the wild thyme adds antifungal and antiseptic properties. The cracker is wafer thin yet holds together super well. Moorishly delicious, sweet and crunchy on their own they are super versatile. You can use in place of bread, with salmon and avocado on top, dip into spreads, eat solo or break up and add to salads. Packed in a red box these crackers are dark red / purple from the beetroot red and carrot orange natural colours fusing. I love to see the whole sunflower seeds imbedded within them. Art forms in their own right! They are fragile like all the crackers but can hold a nice slice of avocado, which is how I ate these. Gosh they are sweeter than I imagined with quite a sharp onion aftertaste. Delightful and hard not to eat the whole packet in one go! These crisp squares are great energy boosters. Beetroot is a good source of iron and folate (naturally occurring folic acid). It also contains nitrates, betaine, magnesium and other antioxidants (notably betacyanin). Beetroot can help lower blood pressure, boost exercise performance and prevent dementia. You can really taste the coriander and caraway seeds, which enhance the healing properties of these divine delicacies. Very Italian these have a real flavour of the Mediterranean. Set within a carrot base there is a rich hint of olive and sun dried tomato, which takes my mind back to holidays in Sardinia and Greece. Around 80 % of the calories in olives come from fat. But the type of fat they contain is a healthy fat. One of the main fats in olives is oleic acid, a monounsaturated fatty acid. Studies have found that oleic acid along with Olives’ high Vitamin E content may have a protective effect when it comes to the skin, colon, breasts – reducing the risk of cancers and maintaining good heart health. The sun-kissed tomatoes are a concentrated source of nutrients. They provide vitamins C and K, iron, and lycopene, an antioxidant associated with lower risk of certain cancers. 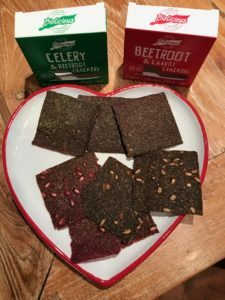 The anti-inflammatory and antiseptic sumac and oregano spices are super complimentary enhancing the sour yet fruity flavour of these crackers. I get a tangy lemon essence from them too as the Lebanese sumac hits my taste-buds. I ate mine some moutabel and sliced lamb on top – scrumptious. These hold quite the Celery punch! Crisp and mild with a slightly peppery bite you instantly get the feeling that these little crackers will start their cleansing work as soon as you swallow. Darker than all the other crackers – reflecting the goodness all the ingredients have to help lower blood pressure and give a happy heart. Celery and beetroot are also great for liver detoxification, purifying the blood, reducing bloating and improving digestion. WOW these could possibly be my favourite snack of the now! More like a flat biscuit they are bursting with protein, easily digestible fibre and natural omega 3’s. This 40g box of delicious wafers can be enjoyed anytime of the day. 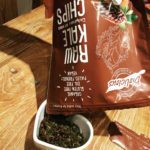 I ate the whole packet in one go with a cup of Yerba Mate fat burning tea! They are super addictive – delicate, not too sweet, perfectly balanced with a buttery aftertaste. Once you crunch you can’t stop! They gave me an instant burst of energy. We all love anything chocolate but these are truly healing for our body with zero added sugars. Remarkable. Yes they have natural sugars from dates inside but with 66% activated nuts and seeds they are real brain food. Free from all the nasties like everything else within this amazingly innovative and forward thinking brand – I’m a huge fan. Rather sad the box is empty now! These are 40g bags of wholesome, activated fuel for every inch of your body. Nothing baked – all dehydrated again this means that every bite provides optimized enzymes, vitamins and minerals. Energy comes from the natural sweetness of all the raw and pure ingredients packing quite the punch. Perfect to grab when you are on the go and need a ‘Pick me up’. These remind me of India – the aromatic combination of cinnamon, nutmeg, cloves, cardamom, mace, peppercorns, coriander, tumeric and cumin is perfect with the nutrient dense nuts and seeds. I love the sweetness from the occasional sultana too! All the spices raise the heat of the body by raising the metabolism, boosting immunity, soothing digestion, are good for the gut and they help fight infection. Very much the savoury snack these clusters are well clustered, firm to the bite with a deep mix of onion, garlic and cumin flavour. Earthy and rather spicy these are sometimes bitter sometimes warm and musky with depth depending on what mix you get in your cluster! 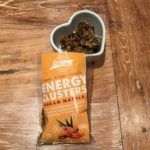 They have a wealth of activated and dehydrated ingredients that give you a fill of wholesome protein, gut-loving fibre with the chia seeds and apple cider vinegar plus anti-inflammatory benefits. The nigella seeds give me a bitter peppery taste of onions, black pepper and oregano. I paired them nicely with a freshly made beetroot, carrot and apple juice. Basil and tomatoes are two of natures perfect pairs. Used a lot in Italian cooking their flavour comes out strong here. Sweet, sharp and zingy. These clusters are loaded with Vitamin C, antioxidants, anti-inflammatory, antibacterial, antimicrobial and antiseptic powers. Lovely sprinkled on top of a mixed leaf salad. These are the sweetest nutrient-dense, fibre filled clusters – packed full of apple, sultanas, figs, and dates mixed with activated nuts and seeds. They give me the flavour of honey, jam and butterscotch, intermixed with the crunchy cashews, pistachios and seeds. Perfectly blended and I was excited to see how the next cluster mouthful would tantalise my taste buds. Their smell is divine – a calming scent of blush roses and fresh orange blossom. Body benefits include detoxification, tissue and nerve repair as well as better digestion. Sweet and savoury these hold together in crisp clusters. If you have dentures – maybe avoid these HaHa! 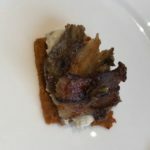 Each mouthful is different, one with more of the sweet cinnamon, another more dry with the woody nutmeg and walnuts and perhaps the next zingy with the ginger, almonds and seeds. You never get bored with that element of surprise in any of the BIOLICIOUS Clusters! When you get a sultana cluster – chewy, crunchy – you can taste all the healing powers making their way into your digestive system. You can’t help but chew them properly! Chewing your food well is so important to break down the particles before they are swallowed. I recommend these on top of a Salted Caramel Coconut Yogurt! So there you have it. 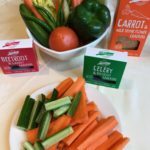 BIOLICIOUS is truly a state of the art, forward thinking, health-conscious brand with a unique range of products that could not be more nutrient dense, hearty nd wholesome if I had made them myself! I cannot recommend them more so lets get them a distributor in the UK so everyone here can enjoy these healing treats. 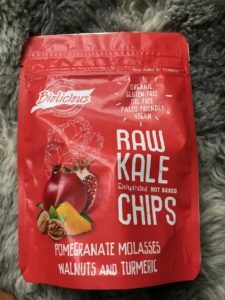 One thing I would ask is that PLEASE BIOLICIOUS consider making the cracker and cluster bags resealable so we don’t have to eat them all in one go! If we are able to resist the temptation that is! BRAGGS APPLE CIDER VINEGAR & MORE!